You already purchased your property - why not utilize the readily available energy source just below the surface of your yard? A WaterFurnace geothermal system can transmit an astounding five units of energy for every one unit of electrical energy used. Still not convinced? Look at it this way. You condition your Baltimore home with free energy - for far less than your neighbors using conventional heating and cooling means. 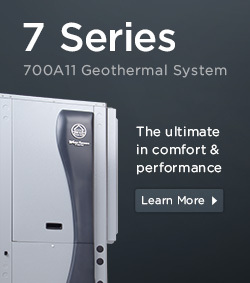 We install geothermal products that make use of that free, clean energy lying in your backyard. Realize savings up to 70% on heating and cooling your home - you can even heat your water for free during the summer!